24 Inch Sunglass Strap the floats! Black in color. 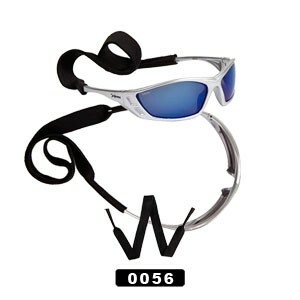 This style of sunglass strap doesn't require sunglasses to have a hole, these straps slip onto the ear pieces.